S800 EVO Frame Arm description: It has a new and additional strengthened structure design with greatly enhanced rigidity. Multistrand SR Wires of power and signal lines embedded which has improved the system reliability comprehensively. 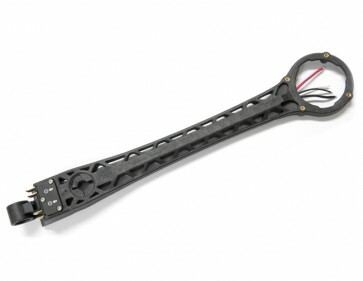 The S800 ESC and motors can be installed directly onto the arm. Under the same tension, S800 EVO frame-arm deformation is only about half of the S800 arms.